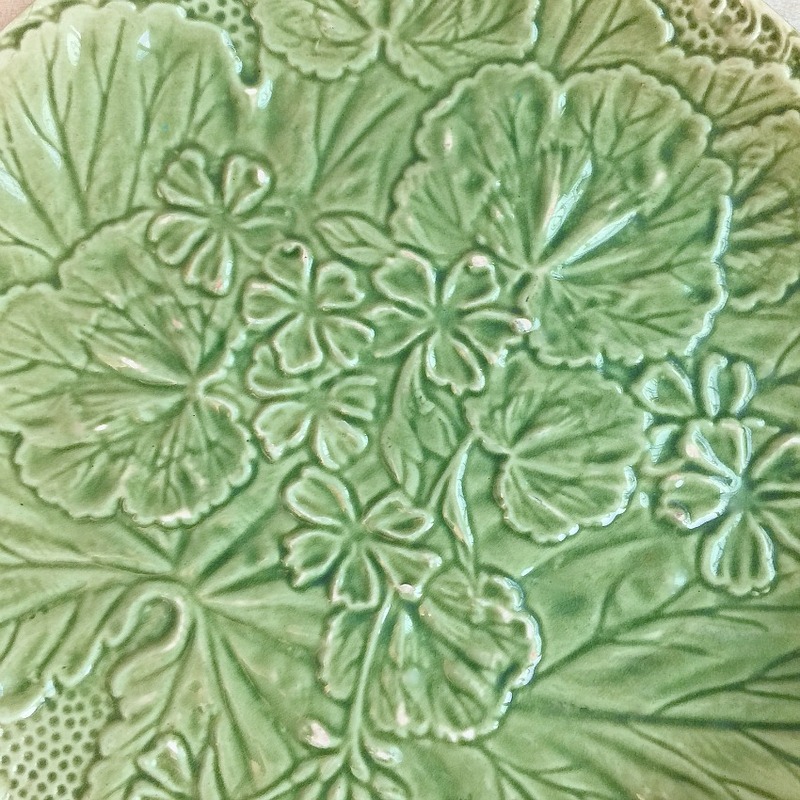 Beautiful 19th century Greenware Majolica Plate, made in 1880, with a decorative central design of a large and several smaller geranium leaves, surrounded by clusters of small geranium flowers. 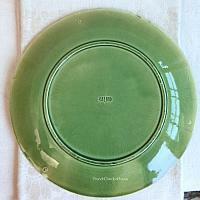 A rare to find light green, the color fades outwards to the rim. 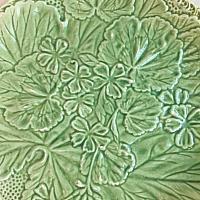 Marked on the bottom with SALINS, a French pottery established in 1857 in Salins-les-Bains in Lorraine, in an old convent. 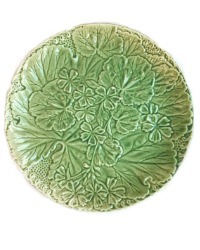 Stilt marks from the original firing on the back as you should find on Majolica of this time period. 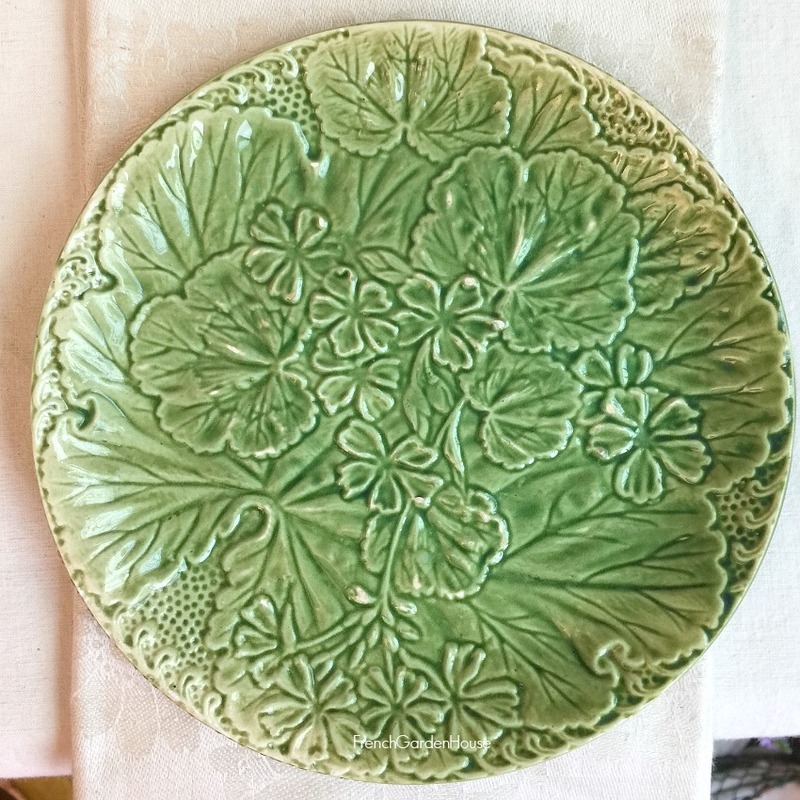 This is a fabulous decorative plate to display with your collection of French and English early majolica plates, bowls and platters. A few small spots of wear on the top of the leaves as shown. This is, after all, over 137 years old!